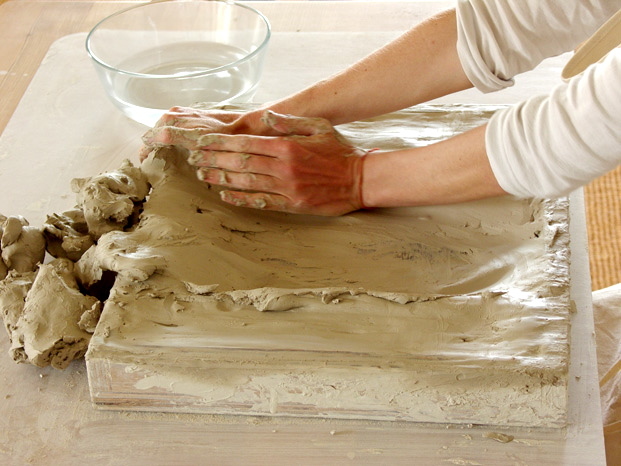 Offered is a flat wooden box filled with clay: the clay field. Next to it sits a bowl of water. 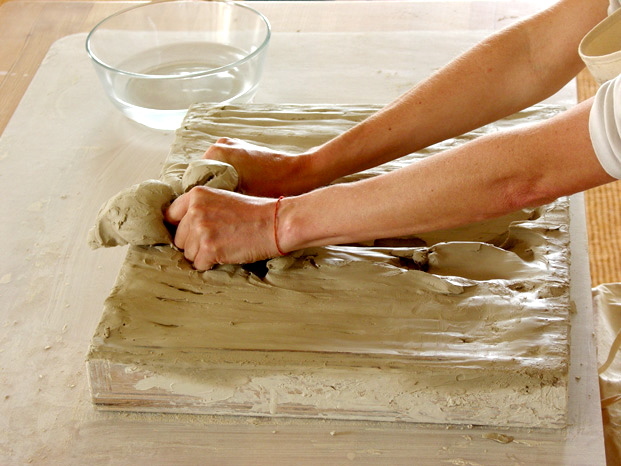 There are no specific instructions except the encouragement to make contact with and perceive the clay field with the hands. Adults mostly work with their eyes closed in order to allow the perception of touch to fully unfold. Children follow their needs with open eyes and allow figures and stories to emerge. 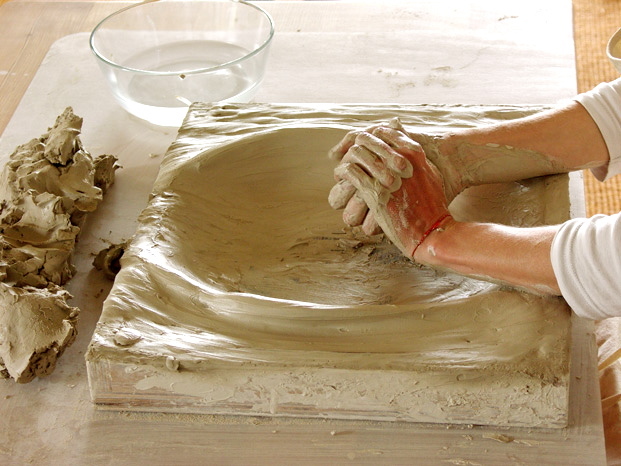 The clay field can be perceived, touched and experienced with the hands. 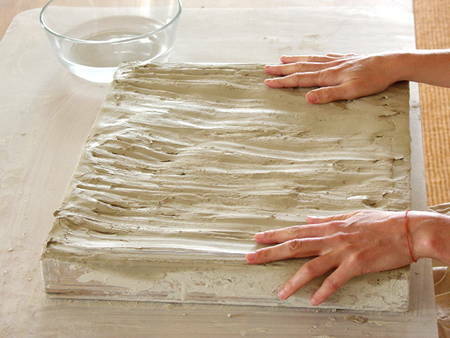 The pliable material invites experiment; it receives every movement and is available for endless possibilities. The containing box communicates a hold to the hands while the flat expanse offers freedom of space. 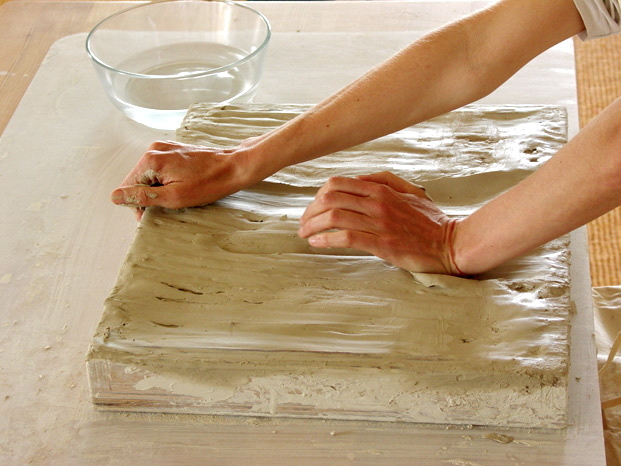 Forms emerge from the movements of the hands as they leave marks in the clay. The presence of a trained accompanier is crucial, someone who can verbally support the hands process of movement based on skilled perception and understanding. 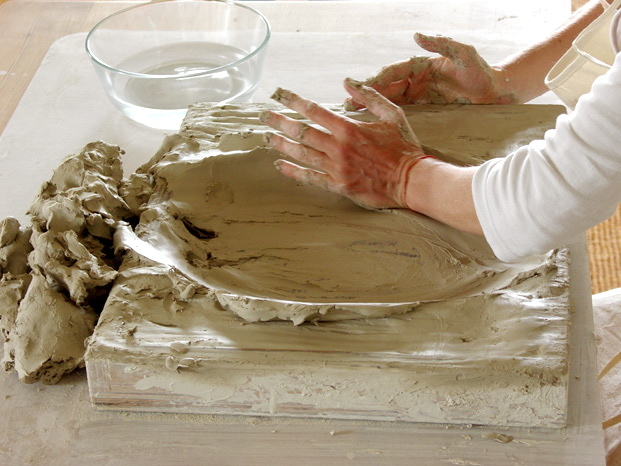 It becomes apparent within the setting of Work at the Clay Field there are three core elements of human development: First there is the clay field, a symbolic world, as something available to grasp, to grab and understand. 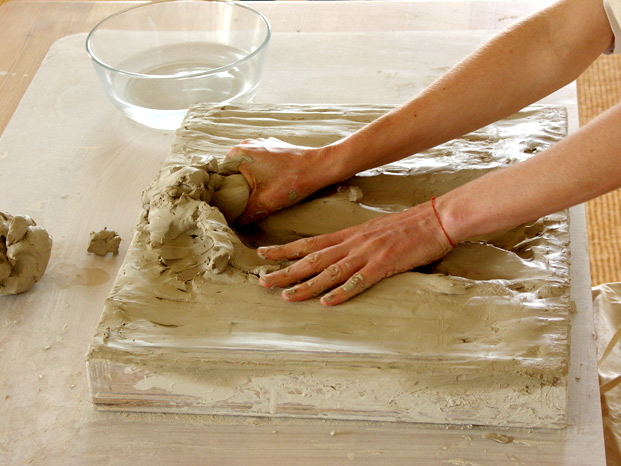 Secondly there are the hands, filled with life’s potential and urge to do and grasp. Thirdly there is the unfolding process of this encounter, which is supported and confirmed through a human ‘you’ as a relational experience.